Based in Tyldesley, we are a small company with big-time solutions. With over 17 years of experience, we have perfected our laundry process to provide outstanding cleaning while extending textile life. Resulting in a reputation for excellence and a history of proven results. We understand the pressures of today's business and have carefully crafted a service that means you will never need to even think about laundry again. 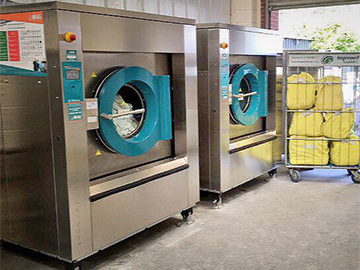 From flexible collection and delivery everything about our service is designed to make it easy for you to get on with running your business and let impressed laundry take care of it.